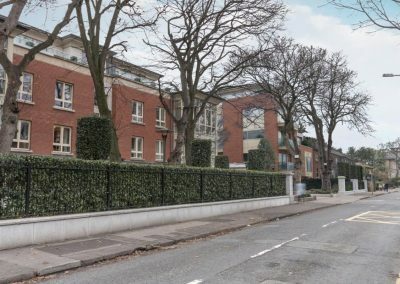 This building completes a group of 4 apartment buildings known as Shrewsbury Square on Sandymount Avenue. The final building in the quartet has been designed to complement the 3 existing buildings, using similar materials and details to lend consistency throughout the scheme. 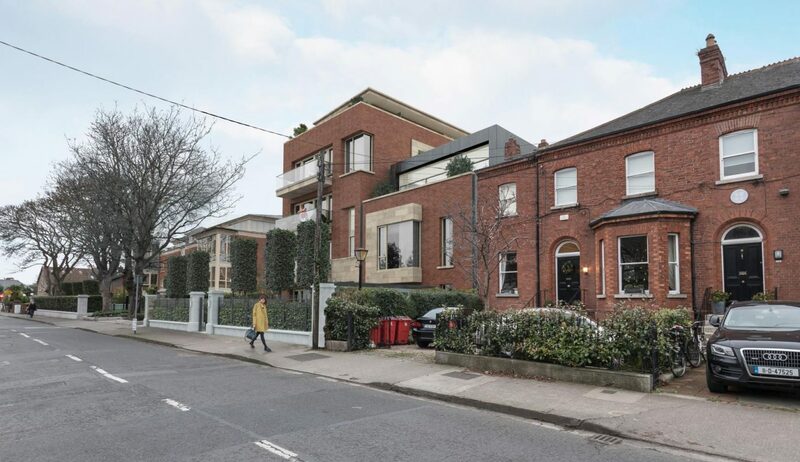 At the same time the building is located in a sensitive area of the site, alongside a period redbrick terrace dating from the mid nineteenth century and designated an Architectural Conservation Area. 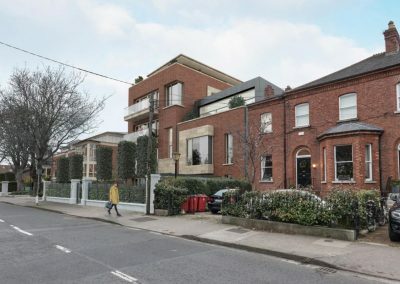 The size and massing of the building reacts to this sensitivity; a section of the building height is reduced to match the eaves level of the period terrace and a part of the second floor is set back to create an external terrace for the apartment at this level. 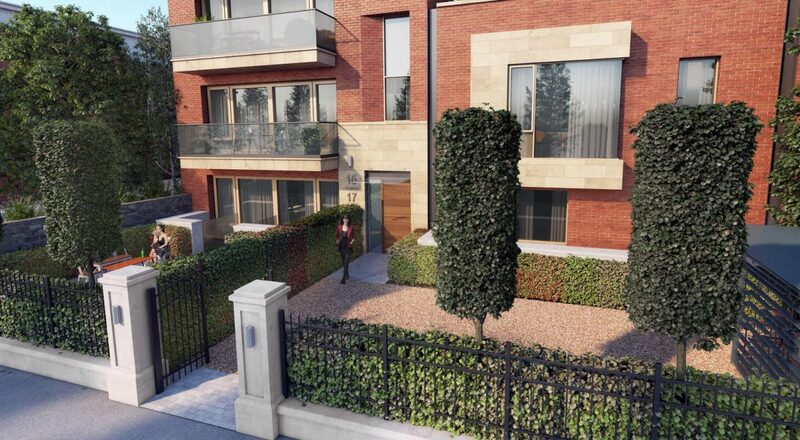 11 units are provided in total over 6 levels and include a mix of 2, 3 and 4 bedroom apartments. 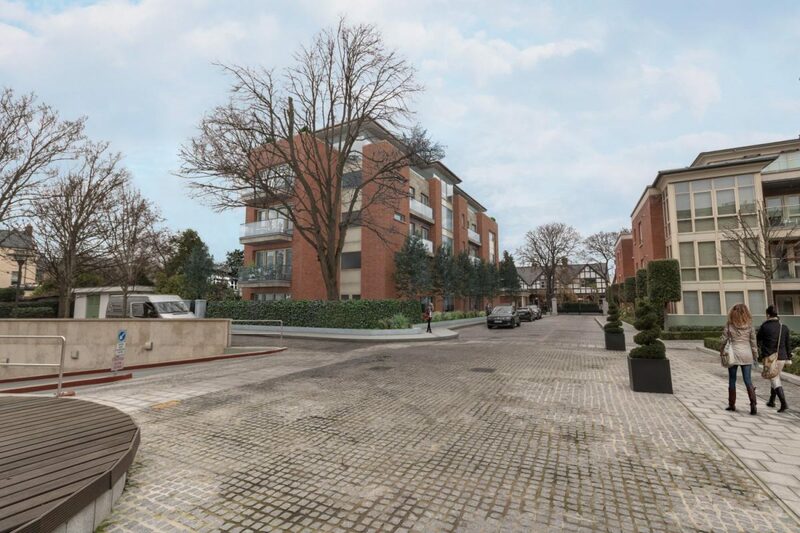 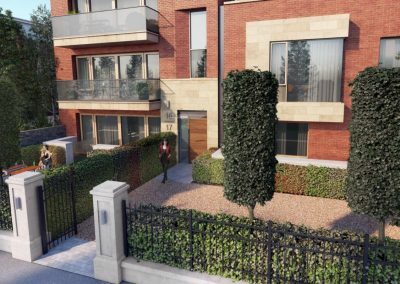 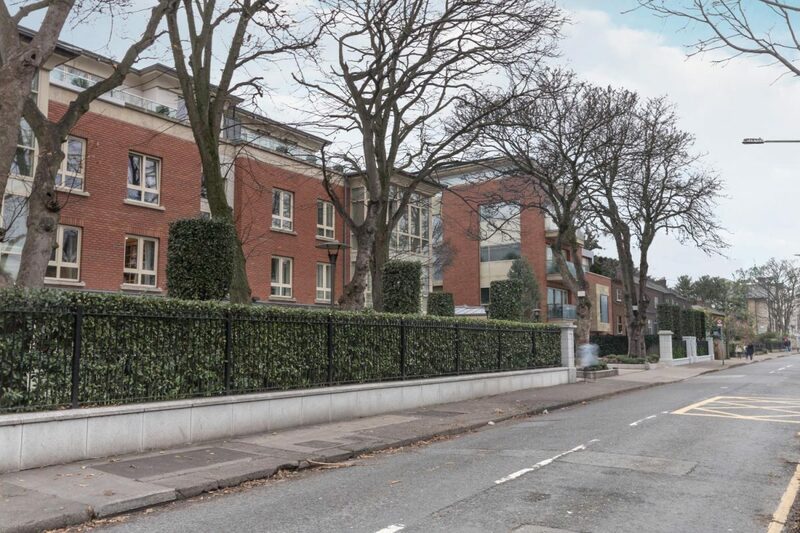 Three 3,000sqft duplex units occupy the ground and basement levels, with a large 3,500sqft penthouse enjoying expansive views over Dublin.